So you think teak for garden furniture do you? Everybody knows about teak. 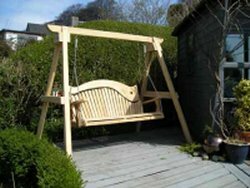 For years it’s been the wood of choice for garden furniture: tough, resistant to rot and, if you haven’t got enough to do, you can rub it down each year, oil it and maintain its rich colour. Or you can simply let it weather to a gorgeous, soft, silver sheen. For years it’s been relatively cheap and in plentiful supply. Think garden furniture: think teak, right? But wait. 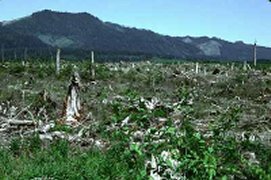 For three or four decades there has been some disquiet because it is a slow-growing tropical hardwood which is being felled at an increasing, non-sustainable rate, along with other trees which constitute our rainforests. The planet is losing its lungs and we should be very worried. Now, another fact is here to terrify us, based on the concept of “carbon footprint”. 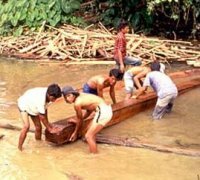 Lots of teak comes from Burma. That’s a long way from the UK. I can hear you thinking, is there another way? Well, yes, actually there is. Think oak. We grow it here. Have done since Adam was a lad. Later, Henry Tudor built his ships in oak. Long lasting? How old is the Mary Rose? I can show you an oak beam in a building not far from here which has been doing its job since it was built. Everybody knows about oak; tough, resistant to rot and you can rub it down annually, oil or varnish it, and maintain its rich colour. Or you can simply let it weather to a gorgeous, soft, silver sheen. Does this sound familiar? The carbon footprint for English oak garden furniture can be 7% that of teak. I’ll say that again slightly differently: the carbon footprint for teak garden furniture is fourteen times greater than that of English oak garden furniture. So you won’t have to deal with prissy comments from your neighbours and friends about rainforests, lungs and carbon flip-flops.